Protea obtusifolia has shiny, richly coloured flower heads during winter, and it is one of the few proteas that thrive in alkaline or acidic soils, making it one of the most adaptable proteas for gardens. Protea obtusifolia is a large upright, rounded shrub, 2-4 m tall with a spread of up to 5 m, and a stout main trunk up to 600 mm in diameter. Leaves are upward curving, broadly lance-shaped, 100-150 x 20-40 mm, with the broadest part above the middle (oblanceolate), an obtuse to rounded apex, and tapering to a distinct petiole. The leaves are rich dark green, covered in minute soft hairs when young but hairless when mature, and leathery. The protea flower is not a flower, but a flower head or inflorescence, made up of many individual flowers grouped together on a rounded base or receptacle. 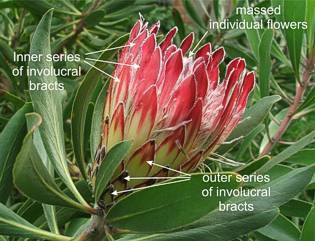 What look like the 'petals' of the protea 'flower' are modified leaves known as floral or involucral bracts. Inside the cup of involucral bracts are many long, narrow flowers massed together in the centre. On many proteas the colour and hairiness of the involucral bracts differ between the outer series (those on the lower part of the flower head) and the inner series of bracts. The inner bracts a re usually the most colourful and they are the ones that we see at the tip of the flower head. Protea obtusifolia has large, oblong, flower heads, 90-120 x 50-80 mm. The inner involucral bracts are hairless and shiny, with a fringe of silver white hairs along the margin. Their colour varies from deep carmine to creamy white, with many shades of pink in between. The outer involucral bracts are covered in small, fine hairs and the tips turn brown even in fresh heads. Flowering occurs from autumn until spring (April-September), peaking during midwinter (June-July). The fruit is a small, dry, hairy nut. Seeds are held inside the flower until the branch, or the entire bush, dies. For harvesting purposes, the seeds should be left on the bush to ripen for a period of about seven months. Only a few viable seeds are produced per head. Near Threatened (Raimondo et al. in prep.). Over 20 % of limestone fynbos is threatened by invasive alien plants, in particular Acacia species, and by agriculture. The population of Protea obtusifolia has been reduced by 25 %, but the remaining subpopulations are large and extensive. If habitat transformation continues at the same pace, this species could become Endangered by 2025. Protea obtusifolia occurs along the southern Cape coast from Stanford to Cape Agulhas, Cape Infanta and Still Bay as far as Cape Vacca near the Gouritz River mouth. 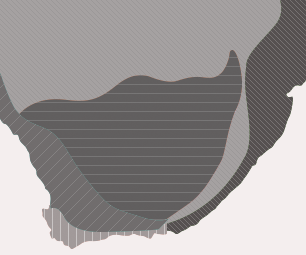 Populations used to occur as far west as Hermanus and Onrust but they have been wiped out by urban development. It grows in dense stands on limestone outcrops of the Alexandria Formation, occurring exclusively in limestone or limestone-derived soils, frequently rooted between cracks and crevices in limestone bedrock. Protea obtusifolia withstands salt-laden winds during much of the year, and in parts of its range the plants endure the full blast of the almost continuous onshore winds. Plants growing under these conditions are stunted. The genus Protea was named by Linnaeus after the Greek god Proteus who could change his form at will, because the proteas are so different in form. The species name obtusifolia means obtuse-leafed, or leaves with rounded or blunt tips, referring to the leaf shape. Protea obtusifolia was discovered relatively recently by J.F. Drège in 1831. This is because most travellers in the early days followed the main wagon track which skirted the Riviersonderend and Langeberg ranges and bypassed the southern Cape coastal plain and southern tip of Africa, so the flora there remained largely unexplored and unrecorded. It was first introduced into cultivation at Kirstenbosch in 1914. The Proteaceae is a family of ± 75 genera and ± 1350 species that occur in Africa, Madagascar, southeast Asia, Malaysia, the Pacific Islands, Australasia and South America. There are 16 genera and ± 360 species in southern Africa. The genus Protea contains ± 112 species, all of which occur only in Africa and 89 (79 %) of them in southern Africa, mainly in the Western Cape. Protea obtusifolia is pollinated by the Sugarbird, Promerops cafer. Nectar is found at the base of each flower. To get to it, the Sugarbird has to push its head between the massed flowers. While doing this, pollen is rubbed off onto the bird's head. It then flies off to another bush and transfers its load of pollen to other flowers while it picks up some more. The flower heads are also visited by many insects, including the protea beetle, which comes in search of pollen and nectar. The protea beetles are large and brush the pollen onto themselves as they move through the flower head and do effect some pollination, but are not the main pollinator. Sunbirds also feed on the nectar, but they do not effect pollination as they `cheat' by sticking their beaks into the side of the flower heads straight to the base of the flowers, bypassing the pollen. Protea obtusifolia plants are killed by fire but they release thousands of seeds that are stored in the old flower heads, the seeds are dispersed by the wind, and germinate en masse after the autumn rains. 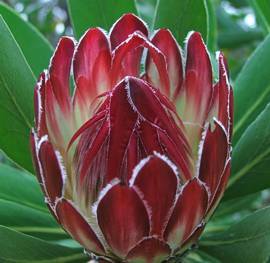 Protea obtusifolia is a beautiful, long-lasting cut flower and it is cultivated for the export market. It is a parent of a few hybrids that are also grown for the export market, e.g. Protea obtusifolia x compacta 'Red Baron' and Protea magnifica x obtusifolia 'Candida'. Protea obtusifolia is a vigorous, robust species forming a rounded shrub. It can be long-lived, still looking good after 20 years. Unlike most proteas it thrives in clay and alkaline soils and does well in gardens on the Cape Flats where the soil is more alkaline. It is equally at home in acidic `fynbos' soils. It is also tolerant of coastal conditions and withstands salt-laden winds. It is drought tolerant and requires little supplementary watering when established; allow it at least two summers with regular watering to become established. It requires protection from frost, but should survive outdoors in zone 10 (-1º to 4 ºC/30-40 ºF) but is best in a frost-free garden. Prune when young to encourage dense, bushy growth. Grow Protea obtusifolia in the strandveld or Cape Flats garden, coastal or seaside garden, the water-wise garden or the fynbos garden. It is a relatively long-lived, large bushy evergreen shrub and does well as a screening or informal hedge plant. It produces beautiful, long-lasting cut flowers during the winter months. Plant Protea obtusifolia in well-drained alkaline or acidic soil in a sunny position with good air circulation. 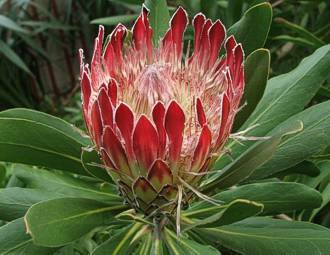 Like other proteas, it is a light feeder with a sensitive root system that is adapted to very nutrient-poor soils. It will not tolerate strong fertilizers and manures, but should be fed with well-rotted compost and if using chemical fertilizers, choose a slow-release one or apply very low doses. Proteas don't like phosphates (P), so choose a fertilizer that has little or no P in its formula. Keep root disturbance to a minimum; protea roots are very susceptible to infection so try not to break them by digging around their base inside their drip-line, rather put down a thick layer of mulch once or twice a year and leave them undisturbed. Protea obtusifolia is easily raised from seed, sown in autumn, in well-drained soil, lightly covered with clean sand or fine-milled bark and kept moist but not wet. Germination occurs after about 30 days. Treating the seed with a fungicide increases the number of surviving seedlings. Transplant into individual containers as soon as the first pair of true leaves has developed. Seedlings are slow-growing, and the first flowers can be expected in the third year. It can also be propagated by semi-hardwood cuttings taken from the current season's growth, in autumn or spring. Remove the leaves from the basal third of the cutting, treat with a rooting hormone, and place in well-drained rooting medium under intermittent mist with a bottom heat of 25 ºC. Goldblatt, P. & Manning, J.C. 2000. Cape plants. A conspectus of the Cape flora of South Africa. Strelitzia 9. National Botanical Institute, Pretoria & Missouri Botanical Garden Press, Missouri. Rebelo, A. (Tony). in prep. Proteaceae. In D. Raimondo, L. Von Staden, W. Foden, J.E. Victor, N.A. Helme, R.C. Turner, D.A. Kamundi, & P.A. Manyama, P.A., Red List of South African plants. Strelitzia. Vogts, M. 1982. South Africa's Proteaceae, know them and grow them. Struik, Cape Town. 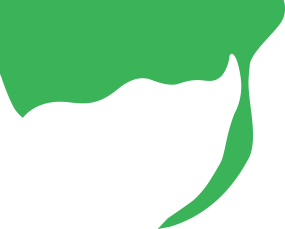 website: Plants of southern Africa: an online checklist. 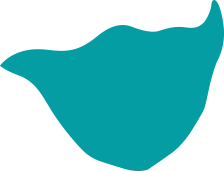 http://posa.sanbi.org.